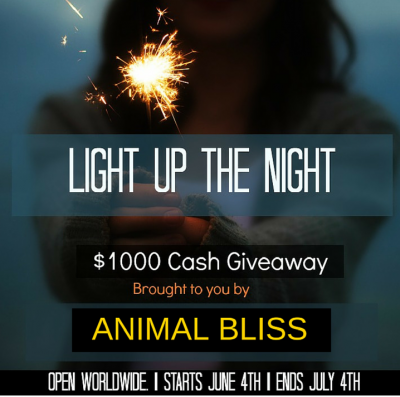 Light Up the Night $1000 Cash Giveaway! 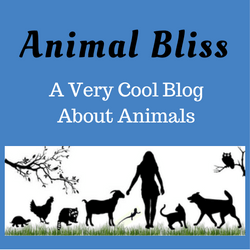 ANIMAL BLISS has teamed up with fellow bloggers to bring you this $1000 Cash Giveaway! We wanted a way to give back to our readers. What better way to do that than with Cash? This giveaway is open worldwide. The two (2) winners must be 18 years or older to win. The giveaway will end on July 4th and the winner will be chosen by random.org no later than July 10th. The winner will be notified via email and will need to respond to that email within 24 hours to claim their prize. 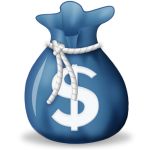 Once the prize is claimed a notification will be sent out to the co-hosts for announcement. Void where prohibited. Thank you for entering, Nenco. Good luck! If I won I would light up the night by buying some things for my parents house that they need and maybe getting away for a night with my husband. I’m glad you entered, Jessica. Looks like you would have some fun with the winnings! Good luck to you. Thank you for entering, Tina. Good luck! Thanks so much for visiting my blog, entering the giveaway, and sharing your story too! I hope you’ll come again sometime. Peace. if i won, i would light up the night by taking my husband out for a date night! Good idea! Thank you for entering! I would have an outdoor bbq with the family and use the rest for food and household supplies. Such a wonderful giveaway, thank you for the chance. Thank you for entering, Joanna. It sounds like you would make good use of the winnings. 🙂 Good luck. Thanks for the contest! I also share your love for animals! Michelle & Kitsune – Paw Print Pet Blog recently posted…How Often Do Dogs Need Bathroom Breaks? With a $500 prize I would go out and buy garden supplies and fill my pantry with organic foods. Thanks so much for this awesome giveaway! Fabulous giveaway!! 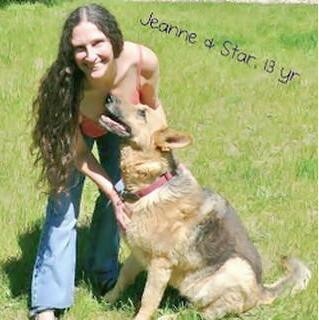 Great to meet you; I’m a part-time dog walker/ pet sitter up in Ontario, Canada and it’s the BEST job in the world! Wow this is so exciting! Good Luck everyone!